Despite its name, this critical battle of the American Revolution was fought in the Walloomsac district of Hoosick, New York. The battle occurred in mid-August, 1777, at a time when maps were scarce and precise place names were not always well-known, especially by enemy forces. Ultimately the battle was named for the place that was being defended—a military storehouse in Bennington, Vermont, about 5 miles away. This resounding victory in the hills of Hoosick played a key role in the American war effort. British forces of General John Burgoyne commanded by Colonel Friedrich Baum were utterly defeated by American forces under Brigadier General John Stark and Colonel Seth Warner. The British loss here, with high casualties including Baum's death, and no resupply for Burgoyne's troops, was a major factor in their subsequent defeat on October 17, 1777, after two battles in nearby Saratoga. This triumph of the Continental Army over a major British force was directly responsible for the entry of France into the war and a strong infusion of hope for independence in the American colonies. The hilltop site of the battlefield is opened to the public seasonally by the New Yorks State Division of Parks, Recreation and Historic Preservation. The 21st President of the United States, 1881-1885. His family lived here and he attended college and law school at Union College in nearby Schenectady, NY. Following his studies, Arthur practiced law in New York City where he was a champion of civil rights successfully representing Elizabeth Jennings Graham who had been denied seating on a streetcar due to her race. Arthur's outstanding service in the Quartermaster Corps during the Civil War saw him rise to the rank of brigadier general. After the war he was appointed Collector of the Port of New York by President Grant. From this powerful position Arthur gained high political visibility and in1880 he became the successful candidate for vice president of the United States on the Republican ticket with James Garfield. Six months after taking office Garfield was assassinated and in September 1881 Chester Alan Arthur became the 21st President of the United States. During his 3 1/2 year term in office one of his most did significant achievements was the establishment of a bipartisan Civil Service Commission which created an examination system to reward merit over political connections in the selection of Federal government employees. Only a year after becoming President, Arthur was diagnosed with Bright's disease. He survived just a year and a half after his term ended in March, 1885. He is buried not far from Hoosick, in Albany's Rural Cemetery. Walter A. Wood used his training as a blacksmith to establish a foundry and machine shop in Hoosick Falls in the 1840s. By 1859 the Wood Mowing and Reaper Machine Company was building 5,000 machines a year, a number that would grow to 66,000 by 1889. Wood's improvements to farming equipment, especially his patented chain rake reaper, won his company top awards at the major world expositions of the late-1800s. 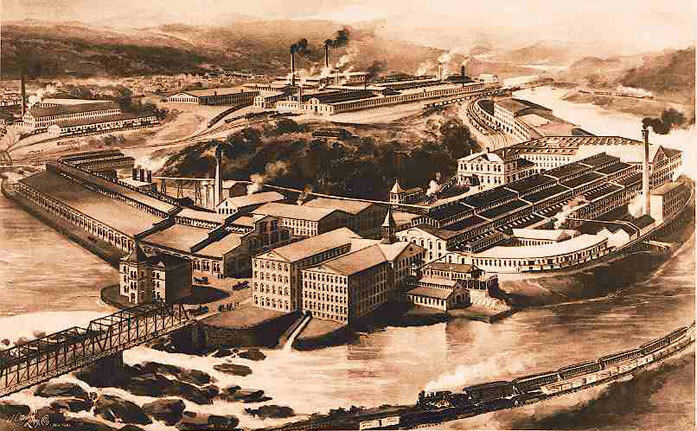 In more than 300 competitive field trials during the 1870s in countries throughout Europe, South Africa and Australia, the Hoosick Falls manufacturer was awarded prizes more than 279 times. At its peak, the massive, manufacturing operation on the falls of the Hoosic River employed 2,000 workers in shops that ranged from sawing mills to foundries melting 50 tons of iron ore a day. Wood machinery was sold throughout the United States but found its major market overseas. Walter A. Wood was a multi-national corporation with offices in Berlin, London and Paris and a manufacturing subsidiary in England as well. The Company sustained international popularity for a longer period than they could domestically because the smaller size of more farms abroad meant continued use of horse-powered equipment when the vast farms of America's Plains States were changing over to combustion engines for motive power. 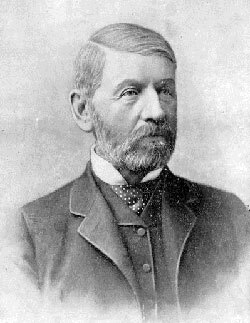 Wood also served as a United States Congressman from 1879-1883.